Juliette Clovis is an emergent French contemporary artist. Her plastic work is organized around 3 big topics that are the links between human and nature, the opposition between life and death and the dialogue between tradition and modernity. Woman has always been central in the artist’s work. 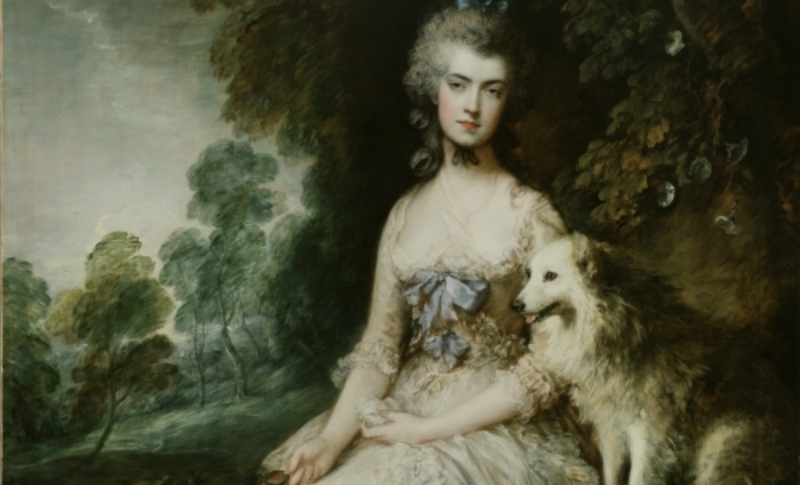 In Baroque jungle, she pursues her metamor-phosis into hybrid beings; mixes of history, myths and chimerical dreams. And for the very first time, the human figure disappear totally from the artist’s work, invaded by a profusion of wildlife and fora elements. Like a Hitchcock-inspired scene, we can almost hear the noise of the jungle: the flapping of a bird’s wings, the slither of a creeping snake or the croak of a frog. Conjugating ambiguity and using metaphors, Juliette’s work wobbles between a prophetic picture announcing the birth of a new living being, human body with a half-animal half-vegetable face; and the onset of death caused by an hungry nature wanting to take back its rights. Symbols are strong and everywhere in Juliette’s universe. As always in her work and whatever the me¬dium she uses, her work is luxurious, precise and mastered. Mostly inspired by the Baroque spirit, the artist mixes references and plays with influences and codes; trying to make harmonious a world made of contrasts and differences. Like a baroque jungle, Juliette proposes us a dialogue between times and cultures and offers an aesthetic and poetic break where luxuriance is her language; the contrast is her rule and the dramatical suspense her quest. 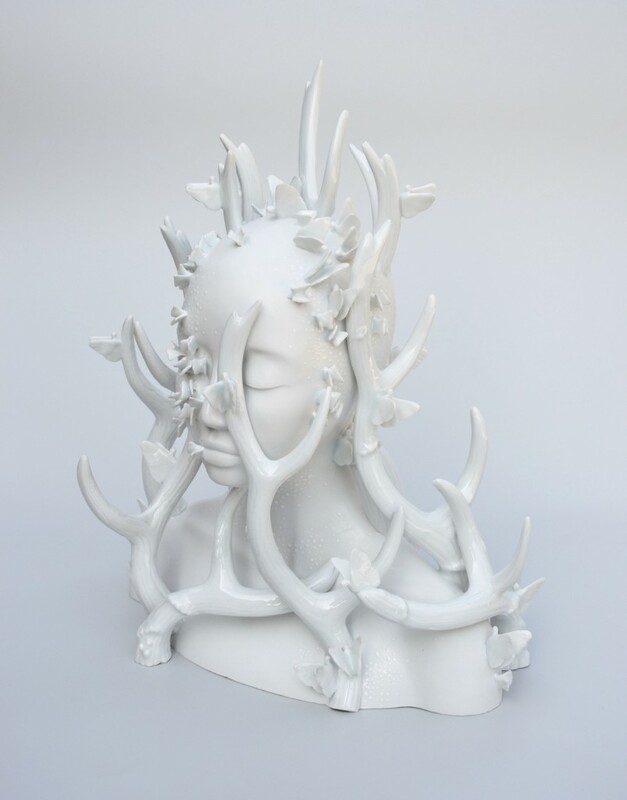 Since 2015, the Nature thematic has withdrawn from Juliette’s two dimentional artworks to invade her new sculpture creations made in Limoges porcelain. As a logical continuation in the creation of the artist, her subjects now take form under her fingers and fill with material for a new 3-dimensional reality. 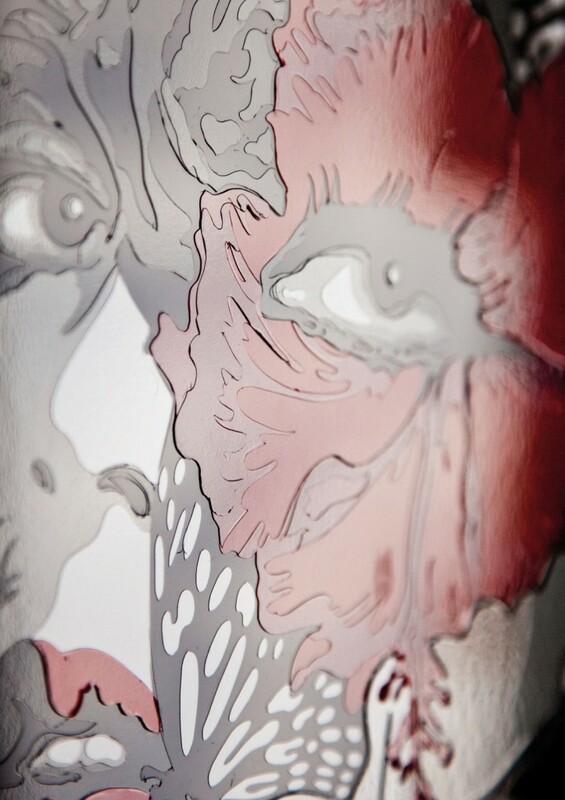 The artist plunged with passion into this very difficult technique, which she works in an art residency at la Manufacture La Seynie. Founded in 1774, La Seynie is the oldest Limoges porcelain manufacture. 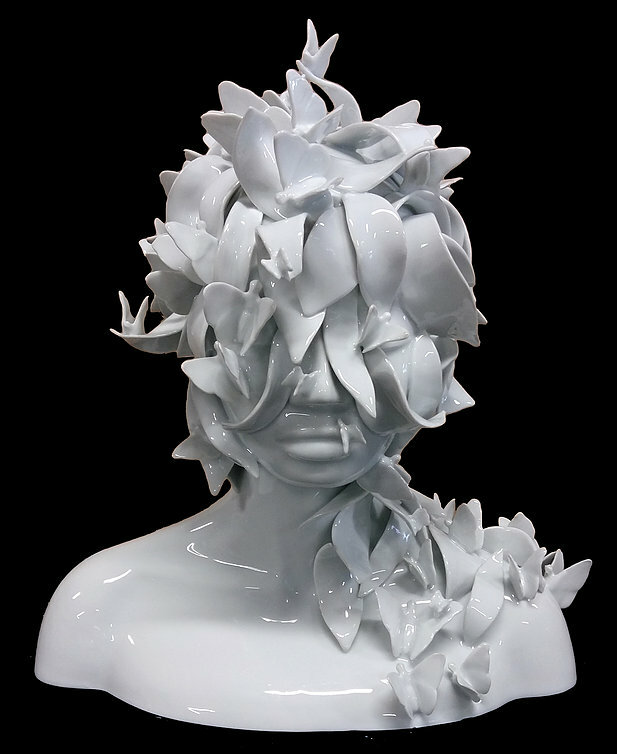 All her sculptures are unique, made by the artist’s hand, in the traditional way of Limoges porcelain. The choice of this noble and classical material allows her to confront her deeply contemporary vision of art across a traditional and ancestral technology. 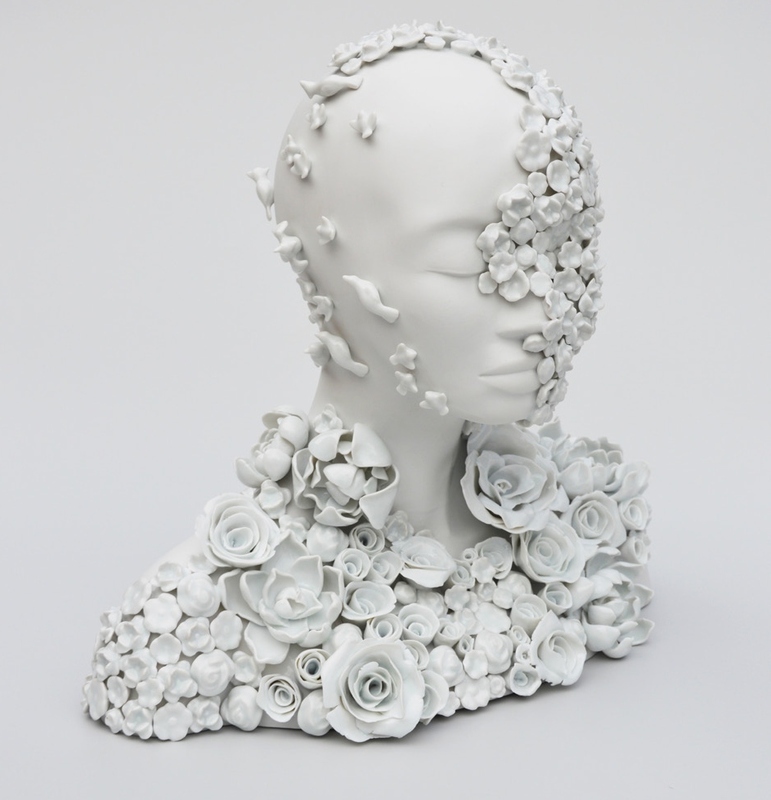 All her porcelains sculptures are mixes between contemporary expressions and classical forms, dialogue between history and modernity. At the end of 2015, Juliette revealed us her first women busts, revisting this classical subject in History of Art by appending her own language. In Baroque jungle exhibition; the artist presents the continuation of this busts serie and also shows us a new work on the egg. 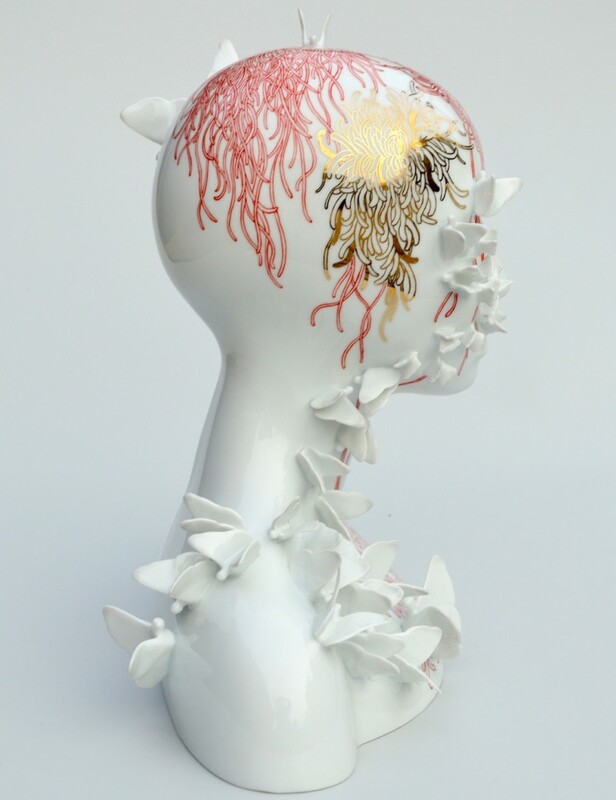 Freeing herself from the famous Fabergé myth, Juliette offers us a modern and atypical interpretation of the porcelain egg; in its turn invaded by her baroque and plant-life allegories. Two others major artworks; «Daintree» and «Vanitas», come as them to disturb and modernize our grand mothers’ old wall plates, and again refering to the ephemeral character of human life. 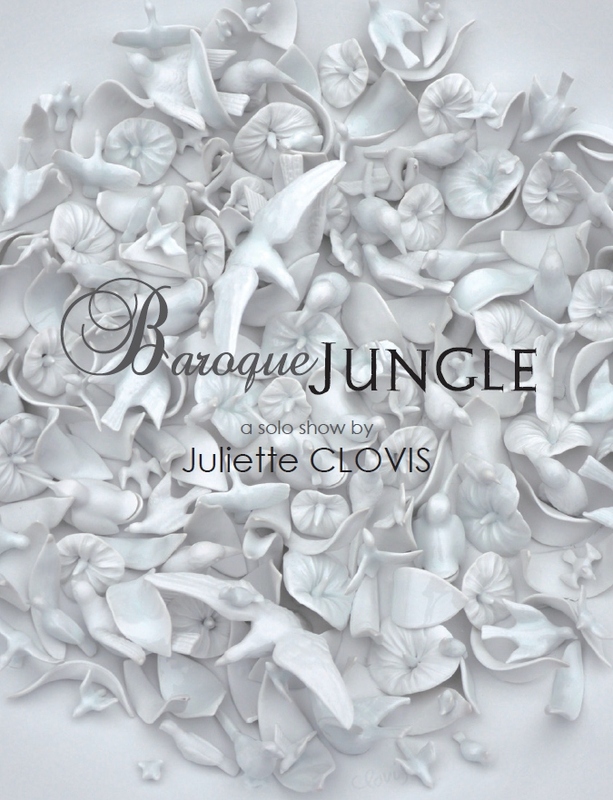 Baroque Jungle is on from March 24th to May 4th at the Mondapart Gallery.